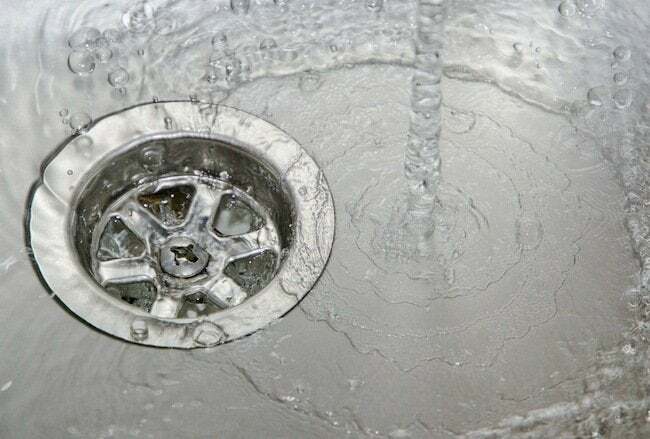 Follow this helpful advice on clearing up a slow-moving or clogged drain. Some friends of mine moved into a new house and had a couple of issues with their bathroom. The sink drain was a little slow and had a funky smell. The tub also drained slowly, leaving them ankle deep in water by the end of a shower. So they did what most of my friends do: they called me. Naturally, I was willing to dive into their problem (figuratively, not literally). Most of the time with a sink drain, there’s a problem with the p-trap, so that’s always the first thing I recommend that homeowners investigate. The p-trap is the thing in your sink cabinet that’s kind of shaped like a “p” or elbow. It’s what keeps sewer gases from coming up your pipe and making a stink. Since their trap was spotless the smell must be coming from the pipe itself, right? GUNK. Here’s a step-by-step guide to remove that GUNK… in short, unclog the drain!